Iceland’s a spelunker’s paradise but the good news is that you don’t need to be a cave expert yourself to enjoy discovering the country’s many and varied caves. There are coastal caves cut by the power of the waves, caves formed from collapsed lava tubes and of course ice caves hidden beneath mighty glaciers. The hot springs of Grjótagjá cave even featured in Game of Thrones, though be warned in real life the water’s far too hot for a dip – those scenes were created in the comfort of a studio. 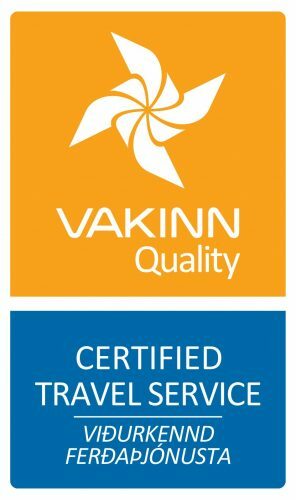 If you’re planning a visit to Iceland and want to include a cave tour in your itinerary, then here are a few of our top picks. 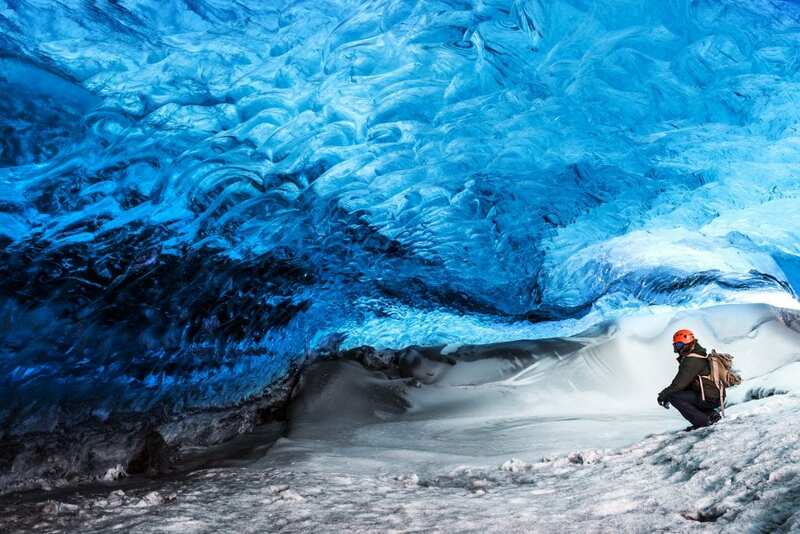 Let’s start with what’s usually thought of as the prettiest of Iceland’s caves. Sometimes referred to as crystal caves, these ice caves form when the spring and summer meltwater re-freezes, leaving beautiful translucent blue ice caves. As you might expect, the exact nature and location of such caves changes from year to year, but what will stay constant is how breath-taking they are. Book ahead if you wish to take a tour of such caves – not surprisingly, they sell out fast and it’s dangerous to enter without an expert to guide you. The big advantage of the Into The Glacier experience over tours of naturally occurring ice caves is that it’s not a seasonal attraction. 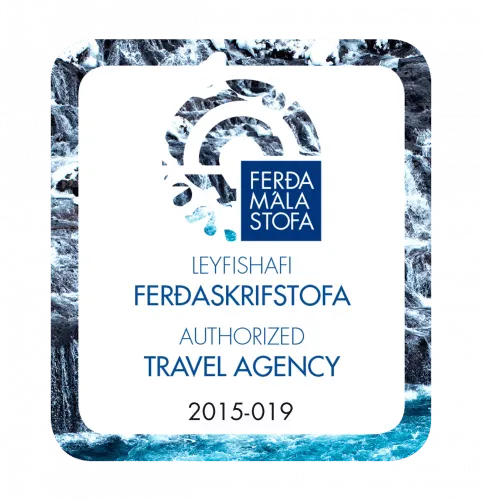 Unlike the crystal caves, it’s possible to head inside Langjökull year round. 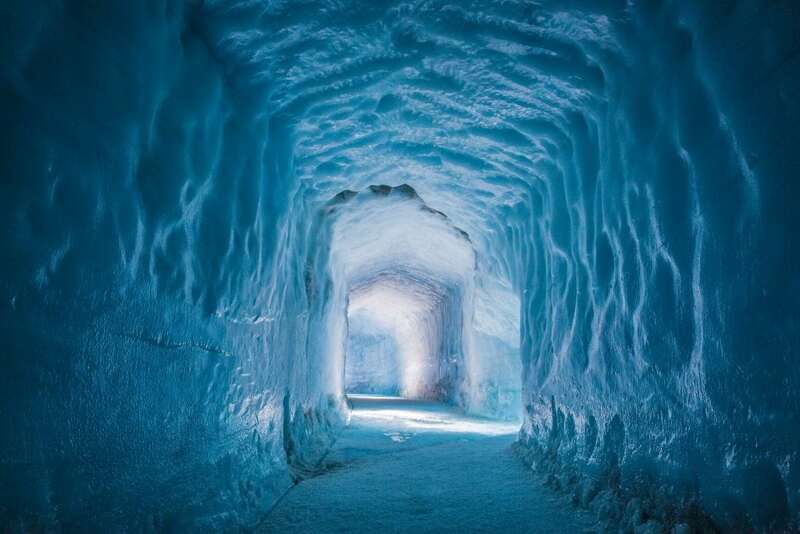 This extraordinary cave was the result of years of hard work from a crack team of architects, geophysicists, and engineers, bulldozing vast quantities of snow and compacted ice to be able to construct a tunnel right into the heart of the glacier. The experience of standing under such a great slab of ice – and a slowly moving one at that – will be a memorable one, whatever time of year you choose. 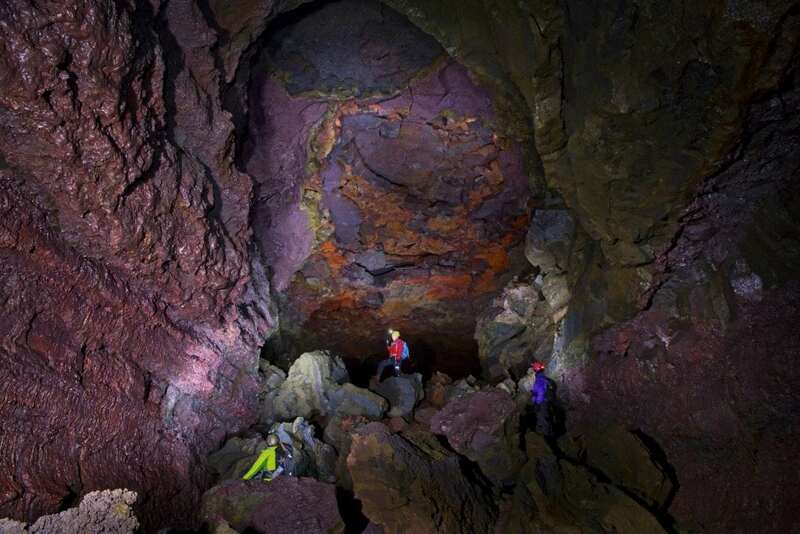 Collapsed lava tubes are a fairly common sight across Iceland but the 3500-year-old Lofthellir cave, located on the Búrfell lava field is a stand-out. It was revealed in the 1980s after a pilot flying over the lava field saw that an earthquake had caused the collapse of its roof. But that’s not the reason tourists are awed by this cave. Inside, the chamber is filled with a plethora of ice sculptures, collectively creating one of the most magical sights in the country. Be prepared to wriggle through some tight spaces if you wish to see this incredible natural phenomenon – this is not for the faint-hearted or those with mobility issues, but the rewards are immense. There are several singing caves scattered across Iceland, but the most famous of them is Sönghellir, located on the Snæfellsnes peninsula. Its wonderful acoustics create echoes that have delighted visitors for centuries. When you go, you’ll become extra talkative – and tuneful – as you test out the sounds that bounce around the cave. According to legend, Sönghellir sheltered the family of 9th Century settler Bárður Snæfellsás. The spirit of this giant of a man is thought by some to guard the cave and protect those who enter. With such variety, you can see why visitors to Iceland rave as much about what’s hidden from view as they do about what’s out in the open. Which will you choose?